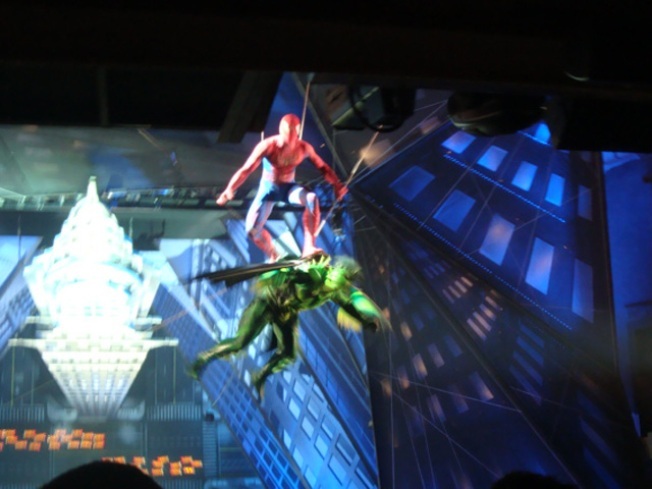 The accident-ridden Spider-Man musical on Broadway experienced yet another technical problem Thursday night when the Green Goblin and Spider-Man got stuck in the air over the audience. Schwartz, who attended the show with his wife and two young children, said that his kids were confused by the mishap. Show spokesman Rick Miramontez says the actors got stuck as a result of safety technology built into the equipment. At first, the audience members couldn’t figure out if the accident was part of the show or not, said Schwartz. When people began pulling out cameras, “security forces came out and hovered over the whole audience, telling people not to take pictures and calming people down,” said Schwartz. The show has been constantly plagued with problems, including an accident in which a stunt double fell 30 feet and ended up in the hospital. After multiple delays, the $65 million show is scheduled to officially open March 15.